Just a really quick post today. I am terribly busy today and urgently need to get some stuff done. 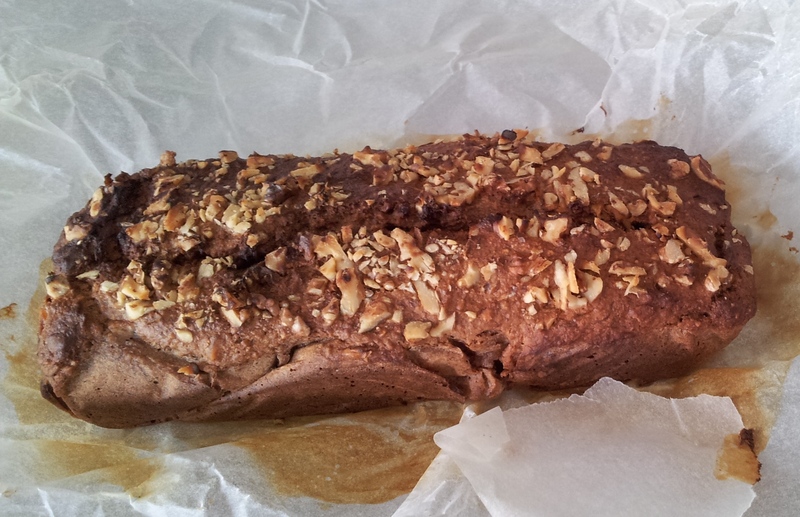 Today I want to share with you this amazing recipe for clean eating banana bread. I got inspired by lovely Ashley (I do love her blog) but adapted her recipe for my taste buds. So it turned out quite differently. Ashley added some strawberry to her bread which makes it extra fresh and a true summer recipe. You might want to check it out here. Stir in the diced banana but be careful not to smash it completely. This bread is so good for you. And so amazing that I was literally diggin in! It’s basically like oatmeal breakfast. And it makes a lovely pre-workout snack since it gives your body the fuel needed to power! You should better make two. I inhaled a half loaf all at once 🙂 Let me know how you liked it.